The official Twitter app for Mac has just been bumped to version 2.2, adding a whole host of new features including improved photo sharing, support for 14 more languages, and very belatedly, Retina display support. All the features, as well as that all-important download link, can be found after the break. When it comes to engaging with others on the vast network that is The Twitters, people tend to have their own, carefully curated bundle of tools. Like many, I tend to give the official app a wide berth in favor of Tweetbot for iOS, Silver Bird on Chrome, and I find that’s all I really need to stay updated wherever I’m at. With that said, plenty still do use the official app, and this latest update brings quite a few empowering features to the fray. First and foremost, it is now, as Twitter notes in its official blog post on the update, "easier than ever" for users to share their snaps. By clicking on the camera icon located in the bottom left-hand corner of the compose box, all a user has to do is source the image they wish to share, and the traditional method of dragging and dropping images straight from the desktop is also still an option. 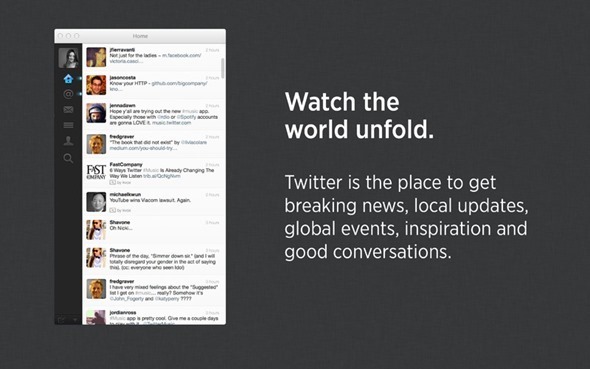 Nearly a year after the initial introduction of the MacBook Pro with Retina display, Twitter has finally gotten around to sharpening up the interface of its official app accordingly, previously Retina MacBook Pro owners had to make the app Retina-ready manually. One of the drawbacks of running a machine with such a high resolution is that, when images and UI elements have not been optimized, they really do look terrible, and so those in ownership of the newer fleet of MacBook should instantly notice the visual benefits of version 2.2. 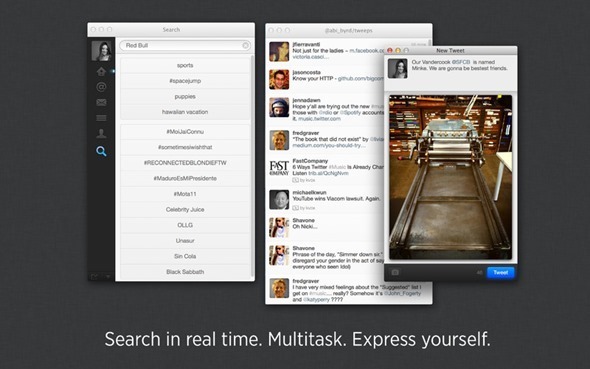 Finally, the Twitter app for Mac has also brought support for 14 more languages. As well as English, Twitter for Mac also now supports Dutch, French, German, Indonesian, Italian, Japanese, Korean, Malay, Portuguese, Russian, Simplified Chinese, Spanish, Traditional Chinese and Turkish. Download the app via the link below, and let us know your thoughts about the new app by dropping a comment via the usual mediums.